Click "Mail" and then "Preferences"
Enter your name and e-mail address and click Create. 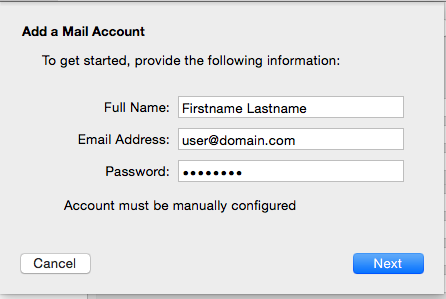 It will say "account must be manually configured." Click next. 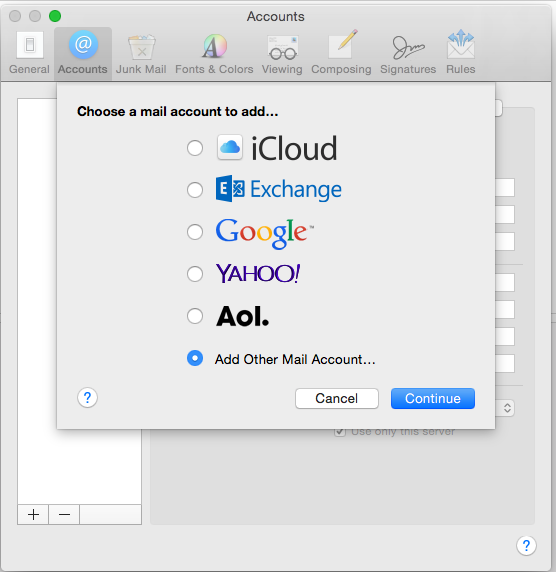 Choose your account type, POP or IMAP. POP will download the mail to your computer, removing it from the server. 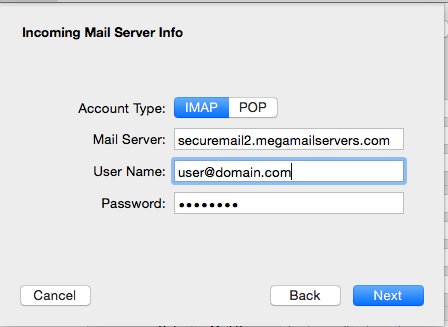 IMAP leaves it on the server and just views it from within Mail, so you can also view the Server email from your phone, webmail, etc. 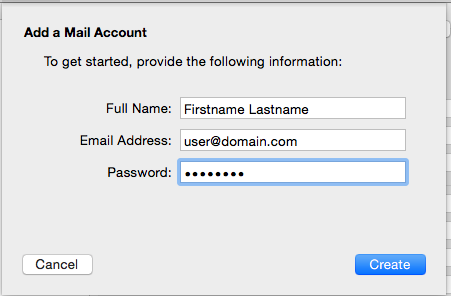 Your username is your email address. When done, click Next. 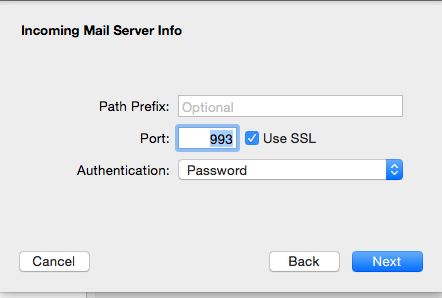 For IMAP the port is 993. For POP it is 995. You should have "Use SSL" checked. 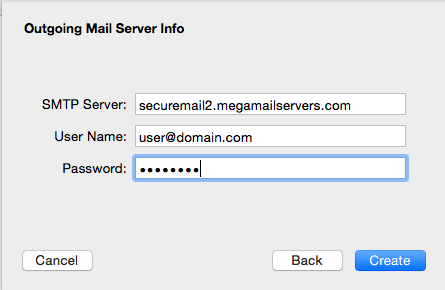 Outgoing mail server is also securemail2.megamailservers.com. Your username is your full e-mail address. 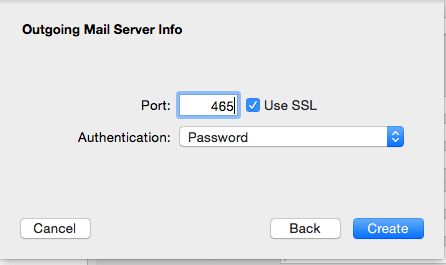 The SMTP port is 465. "Use SSL" should be checked. Click Create and you're done!